Streamer fishing is a great way to catch both numbers and trophy class fish, but it doesn’t come without some negatives. One of the biggest negatives with streamer fishing is you don’t always get solid hookups every time a fish eats your streamer. One of the biggest contributors to this is when a fish slams your streamer in between strikes and you’re caught off guard. Sometimes, the timing is so bad there’s nothing you can do about it, while other times, it’s 100% the anglers fault due to lolly-gagging around with their stripping hand. To minimize the chance of you missing streamer strikes in between strips, make a point to always bring your stripping hand back to your fly line as quickly as possible after each strip. 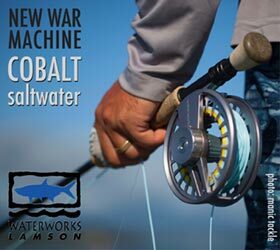 This will make sure you’re in the ready position to quickly set the hook, even during unexpected strikes. On a recent musky fishing trip, I missed the biggest fish of the trip because of this. Pay attention to this concept next time you’re streamer fishing. You’ll be surprised the amount of time you don’t have your stripping hand in contact with your fly line while fishing them. It will take a while to break the habit of lolly-gagging, but if you’re disciplined and make a point to mentally tell yourself to bring your stripping hand back fast, muscle memory will take over quickly. As time passes, you’ll see your strike to hook up ratio drastically increase. This entry was posted in Fly Fishing Tips & Technique, Streamer Fishing, The Hot Ticket and tagged Fly Fishing, fly fishing blog, fly fishing with streamers, Gink & Gasoline, Gink and Gasoline, how to fly fish, Kent Klewein, Louis Cahill, musky fishing, streamer fishing, Streamer Fishing - Hands on the Line at All Times, streamer fishing tips, striper fly fishing, trout fishing by Louis Cahill. Bookmark the permalink. Your comment about the musky made me smile…I fluffed a big one a couple years back because the strike came at the very end of my strip…no more line to pull…nad when when went to grab the line to try to really set the hook…I missed it…a second later when I found it, the big pink and white fly cruised out of the stike zone without a musky attached. Good advice on the single hand strip! 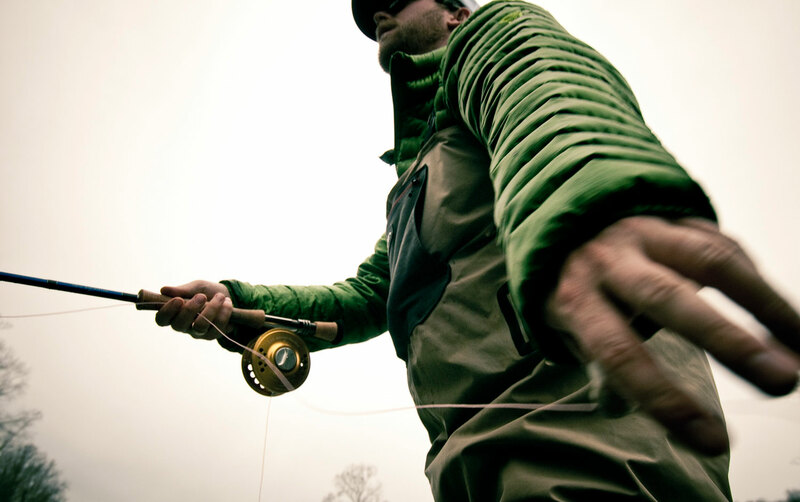 In addition, pinch the line against the cork grip with your rod hand during the moment your line hand is repositioning – and be ready to set the hook with the rod hand by simply pulling backward with the line under tension. Alternately retrieve with the two hand strip, thus keeping the line & fly under control at all times.